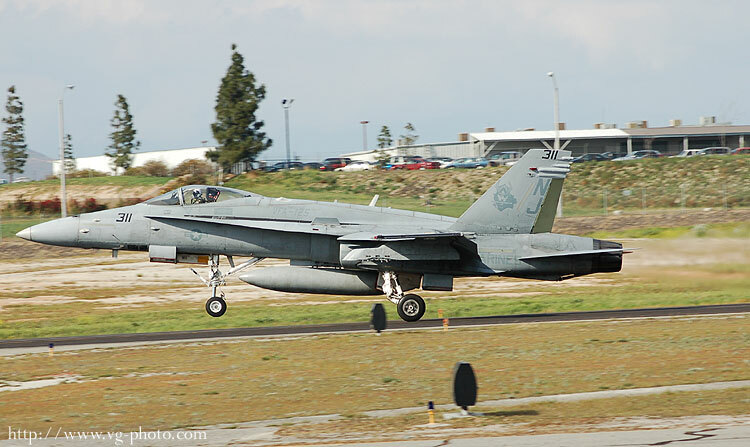 This F-18 Hornet is part of the US Navy's VFA-125 Strike Fighter Squadron, the "Rough Raiders". 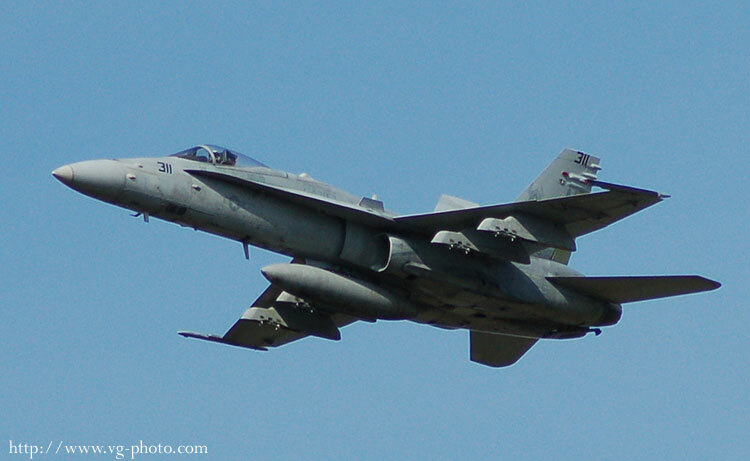 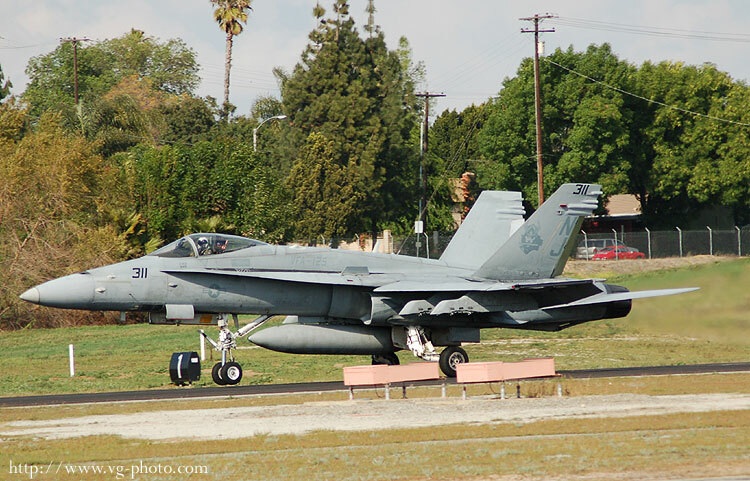 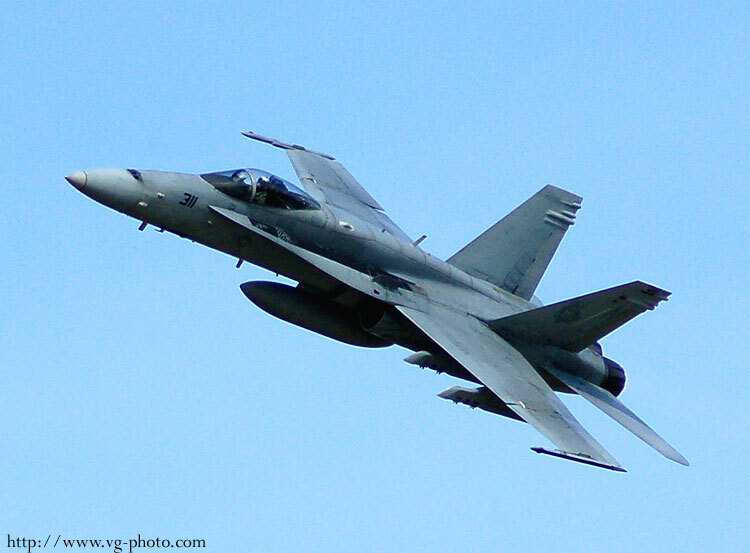 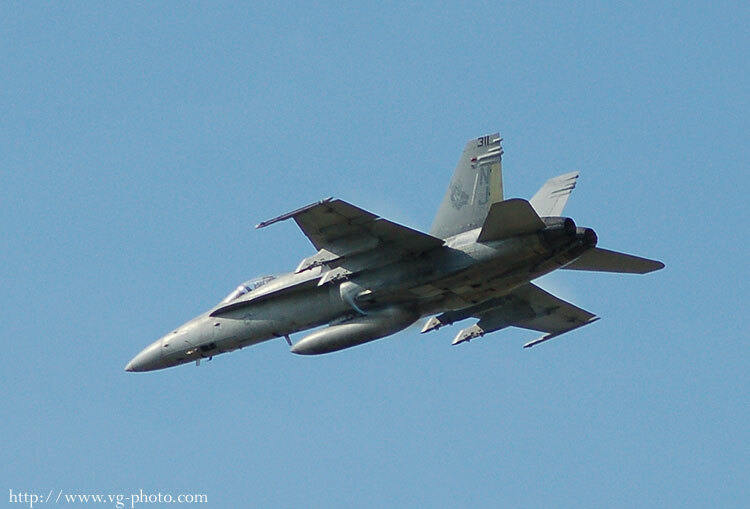 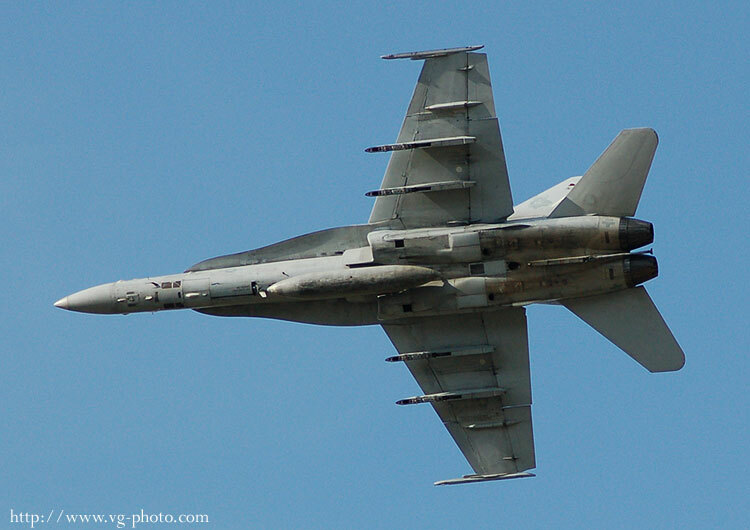 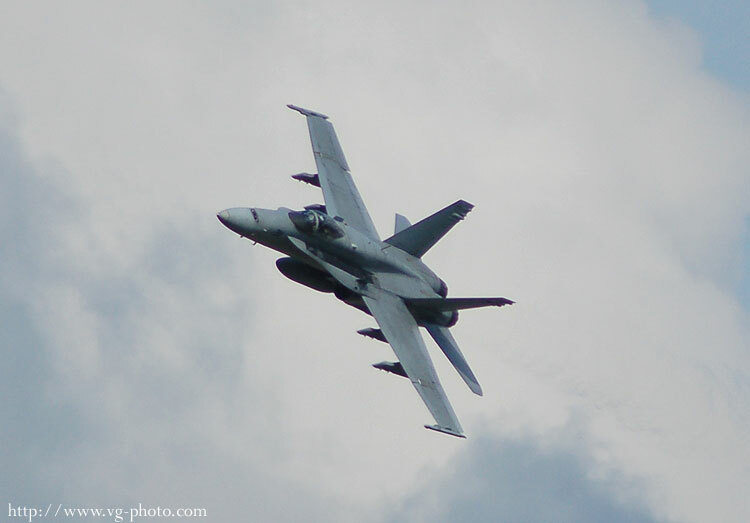 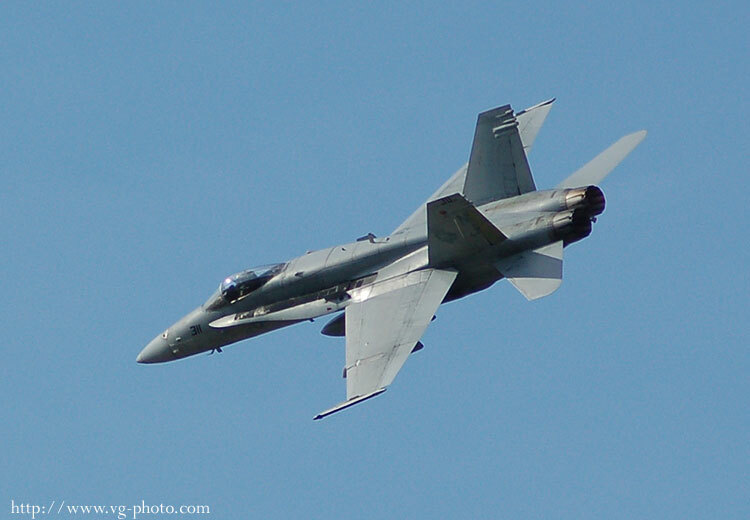 The F-18 is the current main fighter for fleet defense in the Navy since the F-14 Tomcats have been retired. 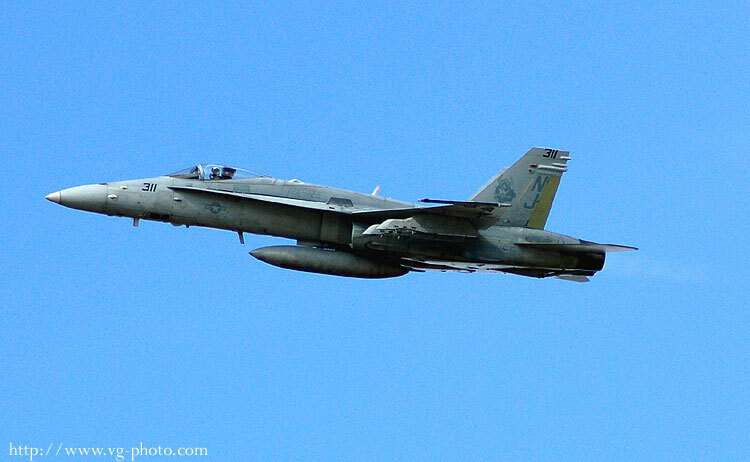 After the Heritage flight, the pilot made several passes. 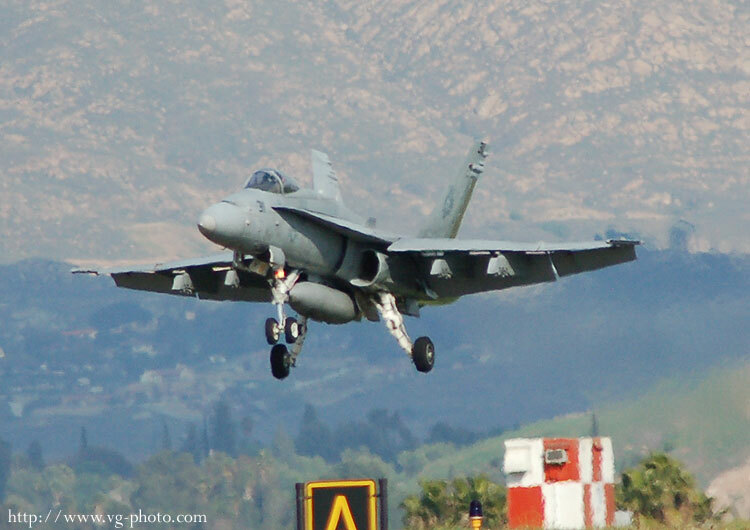 The last pass was pushing into the high subsonic range. 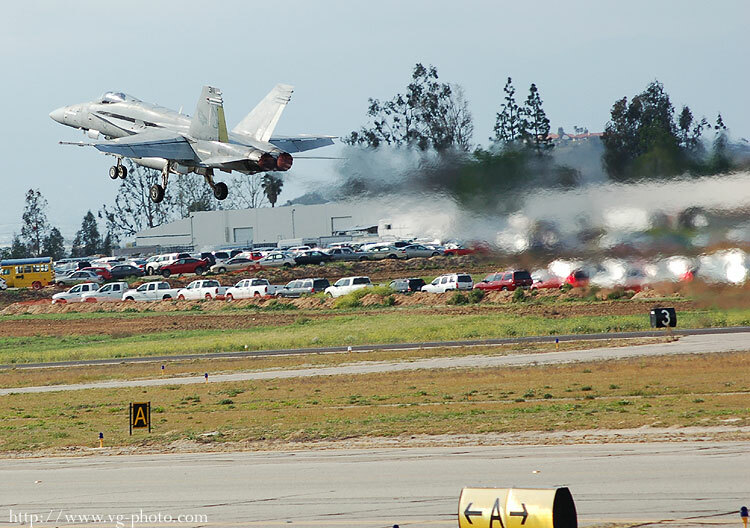 We all heard the "howl" of the pre-mach shockwave forming.